A rich industrialist from the North was horrified to find a Southern fisherman lying leisurely beside his boat. ‘Why aren’t you fishing?’ asked the industrialist. ‘What do you think I am doing now?’ said the fisherman” (Claiborne 293). The initial response of the fisherman clues us in to the fact that he knows something with which so many of us have difficulty. He says he isn’t fishing “Because I have caught enough fish for the day.” Enough. But how much is enough? Not long ago ING, an investment firm, ran a television campaign that featured actors carrying large orange numbers while they did ordinary tasks. The number represented the amount of money they needed to retire comfortably. That commercial fascinated me because I have no idea what my number would be. My guess is most of us do not. We simply do not know how much is enough. But we’re pretty sure if we had more things would be better. Like the industrialist in the priest’s story we encourage more, more, more. When we have that elusive amount called “enough,” then we can really enjoy life. Until then, we need to keep going, keep acquiring, keep striving. The secret is to find out how many fish are enough fish for today. Then we can enjoy life today. Last summer, on the recommendation of blogger Michael Hyatt, former CEO of Thomas Nelson Publishers (michaelhyatt.com), I read a book called The Presentation Secrets of Steve Jobs: How to Be Insanely Great in Front of Any Audience. Throughout the book author Carmine Gallo, references YouTube videos of Steve Jobs speaking before an audience. Jobs was a master at conveying information in a way that was understandable, memorable, and exciting. He created simple slides, had fun with his audience, and was able to distill a mountain of information about a computer product into presentations that induced an emotional response. For example, when introducing the MacBook Air, an ultra-thin laptop, he didn’t tell his audience how small it was. He simply produced the laptop out of a manilla envelope that one would find in any office. Nothing needed to be said. Or go on YouTube later today and find the video of his introduction of the iPhone to see how brilliant he was. If you make presentations for work, this may be a book for you. One of the few non-product speeches Gallo refers to, is the commencement speech Steve Jobs gave at Stanford University in 2005. Gallo uses it predominately to talk about Jobs rule of three, and his ability to tell a story, but when I watched the speech, I was blown away by the content. A little more than a year before this speech Jobs had been diagnosed with pancreatic cancer, which obviously deeply affected him. In the third of the three stories that make up his commencement speech, he reflects on what that awareness of his mortality had done for him. Being the richest man in the cemetery doesn’t matter to me.… Going to bed at night saying we’ve done something wonderful—that’s what matters to me (Zachary). While they might have disagreed about “what matters,” Jobs and our fisherman friend understood something about life so many of us miss. When we put our accumulation of stuff in the light of eternity, it doesn’t hold up. Jobs knew from an early age that no amount of money was going to be enough to keep him out of the cemetery, so he decided to live each day as if it were his last. There is no prize for being the richest man in the cemetery, or to put it in bumper sticker – the one who dies with the most toys doesn’t really win. I made great works; I built houses and planted vineyards for myself; I made myself gardens and parks, and planted in them all kinds of fruit trees. I made myself pools from which to water the forest of growing trees… I also had great possessions of herds and flocks, more than any who had been before me in Jerusalem. I also gathered for myself silver and gold and the treasure of kings and of the provinces; I got singers, both men and women, and delights of the flesh, and many concubines. So I became great and surpassed all who were before me in Jerusalem… Whatever my eyes desired I did not keep from them; I kept my heart from no pleasure, for my heart found pleasure in all my toil, and this was my reward for all my toil. Then I considered all that my hands had done and the toil I had spent in doing it, and again, all was vanity [vapor] and a chasing after wind, and there was nothing to be gained under the sun (Ecclesiastes 2:4-11). At first read this sounds pessimistic, but if you remain with that reading I think you are missing Solomon’s point. I don’t think Solomon is saying, give up – I did all I should have done and I’m still empty. Instead, I think he is saying, I spent my life chasing after that which does not matter. I wish I had done it differently. Or to use the words of Steve Jobs, being the richest man in the cemetery really doesn’t amount to much. He offers his regret to inform us thousands of years later. If I were making a list of Deadly Sins, Greed would be at the top of my list. Maybe this is just personal, or maybe it is the result of living in this society… Greed has a way of turning everything that’s gold into dross. As James Ogilvy says, ‘Greed turns love into lust, leisure into sloth, hunger into gluttony, honor into pride, righteous indignation into anger, and admiration into envy. If it weren’t for greed, we would suffer fewer of the other vices’ (Willimon 103f). Greed has a way of taking the very beautiful and reducing it to a price tag. How much is it worth? Throughout this series, you have heard me say how much easier it would be to talk about other people’s sin. We could shake our heads at theirfailures. This again would be easy with Greed. Let’s talk about the wealth which I have already done using the examples of King Solomon and Steve Jobs, some of the richest people in their time. But what about you and me, who don’t have all they did? I used to believe one who did not have much did not have to worry about Greed. I associated Greed with quantity, but it is not about how much. When we say, “money is the root of all evil” we are misquoting the Bible. The actual quote is “the love of money is a root of all kinds of evil” (1 Timothy 6:10, emphasis added). Greed is about one’s relationship to his or her money and stuff, no matter how much or little we have. It is not about quantity. It is about relationship. Unfortunately, I know from which I speak. Money and I have had a tumultuous relationship most of my life. Writers don’t make any money at all. We make about a dollar. It is terrible… (Miller 187). I feel like a complete loser when I don’t have money. That’s the real problem… We are worth our earning potential, you know. We are worth the money we make. Maybe this is a man thing; maybe women don’t think about this, I don’t know, but I think about it. I think I am worth what I earn, which makes me worth one dollar. Not having money affects the way a man thinks about himself (Miller 188). The good voice, the frugal voice…started inside my head: Don, please, there are children who could use this money for Christmas presents. It’s August, I said out loud. What about the environmental movements, Good Voice said, what about the rain forests that could hold a cure for cancer, a cure for AIDS. Tree hugger, I said to Good Voice while putting on my motorcycle helmet. You have a problem, Good Voice said. You’re a pansy, I said back. You’re irresponsible! Good Voice shouted. Shut your gaping pie hole, I yelled back. The thing about new things is you feel new when you buy them, you feel as though you are somebody different because you own something different. We are our possessions, you know. There are people who get addicted to buying new stuff. Things. Piles and piles of things. But the new things become old things so quickly. We need new things to replace the old things (Miller 191-2).Writing about money, Miller says, “We are worth our earning potential, you know. We are worth the money we make.” Writing about possessions he says, “We are our possessions, you know.” Greed. We are what we have, or have the potential to accumulate. Is this a “guy thing” or can the ladies also relate? Advertisers teach us our self-worth, our value, our identity comes from what we buy. From the car we drive to the clothes we wear; from restaurants to chewing gum; from exotic vacations to an extension cord. We assess value to who we are, what we do, whether we matter based on our ability to acquire. It is a lonely, miserable life when one’s worth depends upon what I can do for me. As Willimon writes, “Greed tends to be solitary, miserly, because there is something about Greed that puts us in competition with our neighbors and ultimately in alienation from them” (Willimon 98). Jesus teaches a different economy where self-worth is tied not to what we earn or accumulate but what we distribute. In both Matthew and Luke we read of a young man who comes to Jesus asking what he must do to inherit eternal life. Jesus tells him to obey the commandments. When the young man says he has been doing that since he was young, Jesus says, “There is still one thing lacking. Sell all that you own and distribute the money to the poor, and you will have treasure in heaven; then come, follow me” (Luke 18:22). The Bible tells us the man became sad because he was very rich. Notice Jesus was not concerned with his wealth until he finds that he cannot part with it. His wealth did not separate him from Jesus. His relationship to it did. The economics of Jesus are not about what we have, but rather about how much we give in service to others. Back in the second sermon in this series on Envy, Pastor Bob introduced us to a phrase he learned from an early 19th century pastor from Scotland named Thomas Chalmers – “the expulsive power of a new affection.” The expulsive power of a new affection is the strength needed to overcome a sinful behavior, is not simply to turn away from it. Instead we need to replace the sin with a new affection, a love, a virtue. Jesus was trying to teach that rich young man the “new affection” for Greed is Generosity. The early church, the followers of The Way, were informed by this model of Generosity. In addition to being Memorial Day Weekend and the unofficial beginning of summer, the Church also celebrates Pentecost today – 50 days after Passover. We opened our service this morning reading the story of the Holy Spirit coming upon the disciples with a great wind, tongues of fire, and the ability to be understood by all no matter what language they spoke. This apparently chaotic moment caused onlookers to accuse the followers of Jesus of being drunk. Peter addresses the accusation with a sermon that moves people so deeply 3,000 of them are baptized! The handful of apostles and other followers of Jesus becomes a mega-church in one day. Luke, the author of Acts, then describes the activity of this very first church with the words that served as our scripture reading today. He mentions they “devoted themselves to the apostles’ teaching and fellowship, to the breaking of bread and the prayers.” Then he adds, “All who believed were together and had all things in common; they would sell their possessions and goods and distribute the proceeds to all, as any had need” (Luke 2:42-45). That verse strikes our twenty-first century American ears oddly, but they were adopting the economics of Jesus. Rather than being primarily concerned with what each had individually, the Spirit drew them toward concern for one another – a vision of the Kingdom of God where every need it met. Willimon writes, “Considering the full sweep of the Christian tradition, one would have to conclude that the most profane word we can utter is the word, mine” (Willimon 105). The early church did not see their possessions that way. They did not see them as a means of making themselves something. Instead they saw themselves as stewards of part of the resources of God, and used those resources to bless others – facilitating a little portion of God’s Kingdom coming to earth as it is in heaven. A little later in Acts, chapter 6, we find the disciples now concerned with the poor in their community and began to appoint people, called Deacons, to meet those needs (see Acts 6:1-7). Like Jesus had taught them, they were replacing their Greed with a new affection – Generosity. 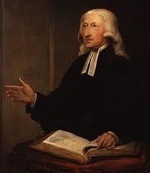 John Wesley encourages us to see our money similarly in a great sermon titled “The Use of Money.” In it he gives what he calls “three plain rules” for the use of money. The first rule is “Gain all you can.” He explains how one must use their time and talents wisely to make as much as possible, morally and without doing harm to anyone else. The second rule is “Save all you can.” The explanation of this rule includes cutting down on our spending, by only what is necessary. These first two rules sound more like a rationale for greed rather than a way to combat it.” Wesley understood this and addresses it in the sermon. “But let not any man imagine that he has done anything, barely by going thus far, by ‘gaining and saving all he can,’ if he were to stop here. All this is nothing, if a man go not forward, if he does not point all this at a farther end. Nor, indeed, can a man properly be said to save anything, if he only lays it up. You may as well throw your money into the sea, as bury it in the earth. And you may as well bury it in the earth, as in your chest, or in the Bank of England. Not to use, is effectually to throw it away. If, therefore, you would indeed ‘make yourselves friends of the mammon of unrighteousness,’ add the Third rule to the two preceding. Having, First, gained all you can, and, Secondly saved all you can, Then ‘give all you can’” (Wesley II.1). In describing what this third rule means, Wesley writes, “give all you can, or, in other words, give all you have to God. Do not stint yourself…to this or that proportion. ‘Render unto God,’ not a tenth, not a third, not half, but all that is God’s” (Wesley III.6). In other words, all of our money is to be used to God’s glory. He is not advocating, as we often hear, that we give 10% to God and do whatever we want with the other 90%. Rather, Wesley reminds us that 100% of our money is a gift from God to be used to the glory of God, the build up the Kingdom of God by serving our neighbors in all that we do. “is not even a church sort of guy. He goes and all, but he hates it… Curt works in a cabinet shop and cusses all the time and tells dirty jokes. But he tithes, sort of. He used to keep a huge jar on his dresser that was full of money, and when he deposited his paychecks he would pull out 10 percent from the bank. Cold, hard cash. He would take the money home and put it in that jar. The thing must have had a couple thousand dollars in it. I was over one night…and Curt was griping because the cabinet shop didn’t pay him enough so that he could get the motorcycle he wanted. “‘Well,’ I told him, ‘you must have thousands of dollars in that stinking jar, Curt. Use that.’ This was before I knew it was his tithing money. “‘Can’t… Isn’t mine, Miller… It’s God’s” (Miller 193-4). This encourages Miller to meet with his pastor to understand giving. Well, he really wasn’t trying to learn about giving as much as trying to get his pastor to say he didn’t have to give to the church because he didn’t make enough (there’s that word again). The next week I emptied my checking account, which had about eight dollars in it, and I gave it to the church. Another check came a few days later, and I gave 10 percent of that to the church, then I got another writing gig with a magazine in Atlanta, and as I deposited that check into my account I wrote a check to the church… For more than a year my checking account had hovered or dipped just over or just under zero, and suddenly I had money to spare (Miller 197). Miller isn’t saying that suddenly there was this huge influx of money he didn’t know what to do with. He is not describing a loaves and fishes miracle. The miracle was that he had found the expulsive power of a new affection. His Generosity was replacing his Greed. Money and things were no longer that by which he measured his self-worth, and so his use of money became more responsible. Things he thought he needed to buy to feel better, like a timer and extension cord, were no longer necessary. 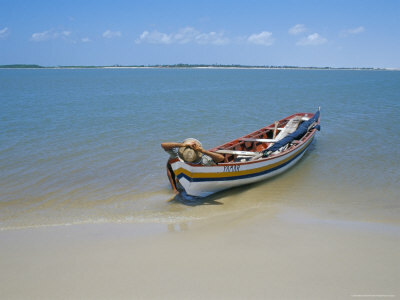 When we are living from a place of Greed, like the rich industrialist talking to the fisherman, there is never enough. We live out of a mindset of scarcity. When we are living generously, the word enough takes on a whole new meaning. 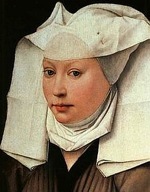 Julian of Norwich, a fourteenth century Christian writer, put it in prayer so eloquently, “God, of your goodness, give me yourself, for you are enough for me. I may ask nothing less that is fully to your worship, and if I do ask anything less, ever shall I be in want. Only in you I have all” (Claiborne 277). I still have an issue with money. I still struggle with my own Greed, defining myself by what I have or can provide. God has called us to a different economy defined not by Greed but buy Generosity. May you and I be people who are not striving to be the richest people in the cemetery. Rather may we know we already have enough in Christ Jesus, and may we go to further his kingdom in our world. Claiborne, Shane, Jonathan Wilson-Hartgrove, and Enuma Okoro. Common Prayer: A Liturgy for Ordinary Radicals. Grand Rapids, MI: Zondervan, 2010. Print. Miller, Donald. 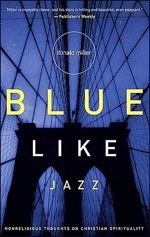 Blue Like Jazz: Nonreligious thoughts on Christian spirituality. Nashville: Thomas Nelson, 2003. Print. Willimon, William H. Sinning Like a Christian: A New Look at the Seven Deadly Sins. Nashville: Abingdon, 2005. Kindle edition. Zachary, G. Pascal & Ken Yamada. “What’s Next? Steve Jobs’s Vision, So on Target at Apple, Now Is Falling Short: He Struggles to Win a Niche In the Computer Industry After a Series of Missteps — Deep Faith in His Own Genius.” Wall Street Journal [New York, New York] 25 May 1993. 6 Oct. 2011. Web. 25 May 2012. <http://online.wsj.com/article/SB10001424052970203476804576614371332161748.html>. *Unless otherwise noted, all quotations of Scripture are from the New Revised Standard Version available online at http://bible.oremus.org. I don’t know what this says, but I’m going to assume it is a glowing review.